Colette Ellis is an author, coach and transformational speaker on mindfulness, motivation, and wellbeing. She created Start Within Coaching because she believes that true mental health is a state of wellbeing in which everyone can realize their potential, cope with the normal stresses of life, work productively, and make a contribution to the community. Her vision for the future is that people of color will feel a sense of worthiness; we will know that our dreams, our health, and our lives matter. Coach Colette is a certified Stress Management coach and practitioner of Emotional Freedom Technique (EFT-Tapping). She also includes Aromatherapy, Meditation, Mental Health First Aid, Priorities Assessment, and Visualization to help her clients to transform their lives and realize sustainable results. Colette is contributing author to Transform Your Life With One Call: America’s Top Life Coaches Reveal What You Need to Know. Her book Focus on Your Vision helps readers clarify their priorities so they can be more purposeful at work and in life. She also is an Agents of Change Fellow, and Founding Member of The Women’s Lab, at the Centre for Social Innovation, initiatives that support social entrepreneurs to accelerate the positive impact of their programming for women and girls. 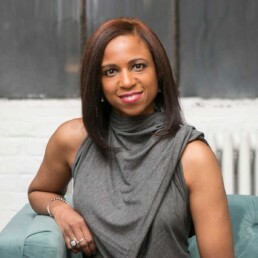 As a co-host for Brooklyn Savvy TV, she facilitates substantive conversations about women’s issues. A featured eHow.com contributor on workplace morale, her tips and advice also have appeared in Thrive Global, Real Simple, Small Business Chronicle, and Daily Burn. Her motto is Start Within to Finish Strong!